India is rich in historic and cultural past. India is paradise for history buffs, archeologist, architects and artists for people who came here to explore Historic places. 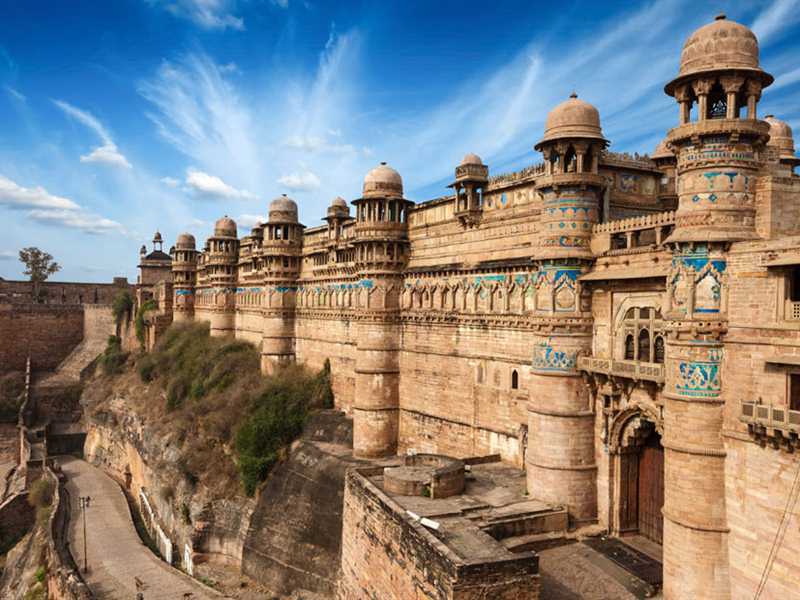 India has various monuments, majestic forts and temples to explore. India has been ruled by various dynasties by Chandelas, Guptas, Mauryas, Marthas, Bundelas and British. If an one keen to explore India, come and be the part of historical journey. Some of the historical places in India which are listed as UNESCO World Heritage sites due to their cultural importance and may be visited in 2016, some of the bellow here. The impressive fort with perched atop of 3 km. 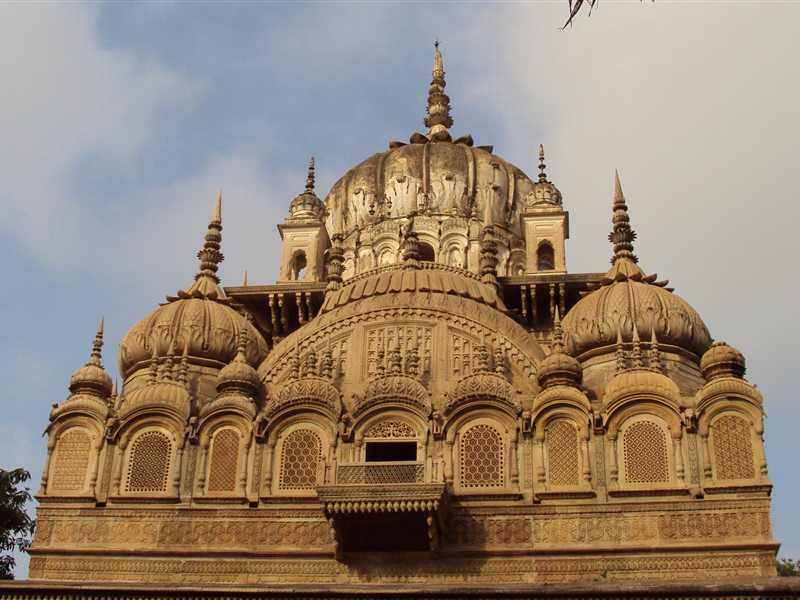 Fort is one of the most famous historical places in central India in Madhya paradesh. 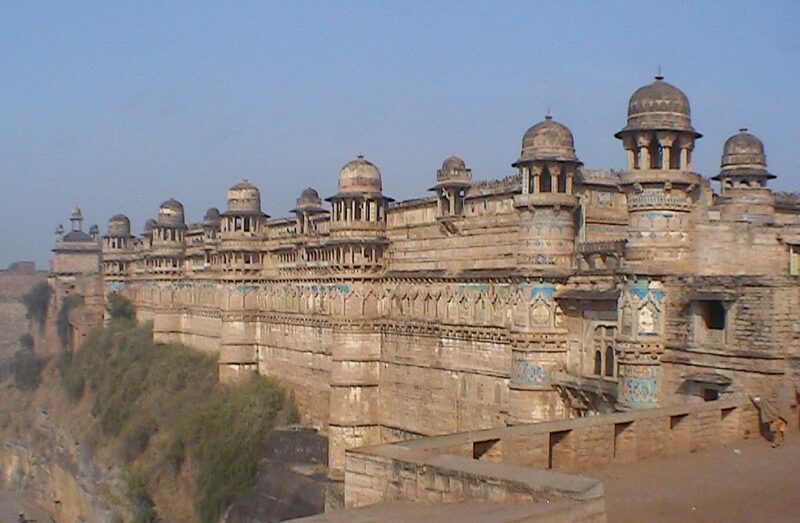 Fort has been ruled by many dyansties in past, it has been most tourist attraction in Mahhya pradesh. The fort has the three attractive temples out “teli ka manadir” is famous of Dravidian and Nagara styles of architecture, temple is dedicated to lord Vishnu in form of vahana & garuda fort has have a glimpse at an impressive collection of historical artifacts, sculptures, carvings and frescoes, some of which are even more than 1000 years old. 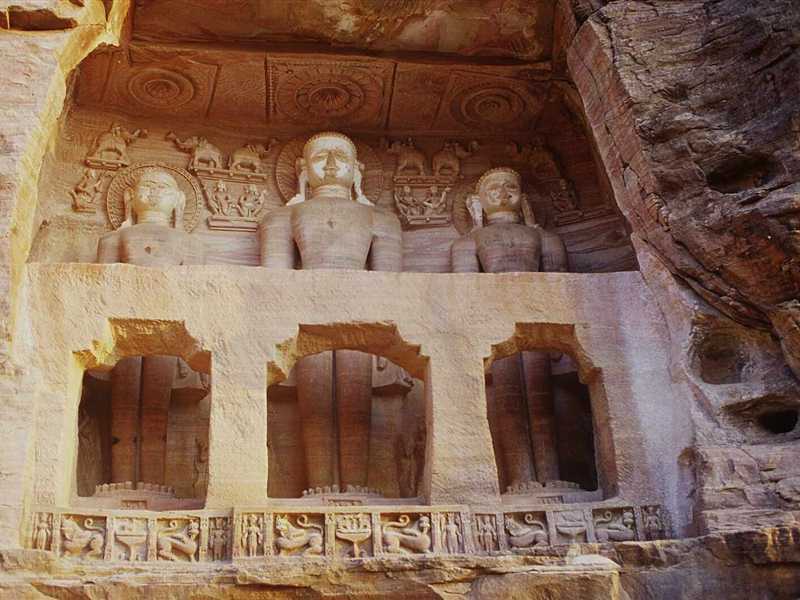 Leading along the way to Urawhi gate of gwalior fort one would come across southern side of exquisite and ancient rock sculpture that has from 7th century and mid 15th century the sculpture imposes jain tirthhans stand on full glory will wonder how artisans and craftsmen craving skills. Sculpted in different standing and sitting meditative postures, these statues give you a deep insight into the ancient Jain art that existed in India hundreds of years back. Khajuraho temples are one of the most itniers of tourist in Madhya Pradesh, There 85 temples, but only 20 remained. Kandariya Mahadeva Temple is prominent and a brilliant piece of architecture standing tall as a testimony to the exceptional artistic skills of artisans and craftsmen. Inner outer walls are sculpted figures celestial nymphs and mithunas depicting various sexual positions and sensual poses. Indore was ruled during reign of holkar dynasty under the rule of Malhar Rao Holkar, the palace has faced with massive destruction with massive fire in 1984 due to which front portion remained today. The palace is renovated with beautiful garden and fountains. Hence, we saw that India is a perfect blend of traditional and modern culture. Come to explore the land of Historical monuments India, which are given with detail description along with their location. Find more information related to India travel at IndiaVisitOnline. You can also plan your himachal pradesh trip with us which is largest online travel agent in India.